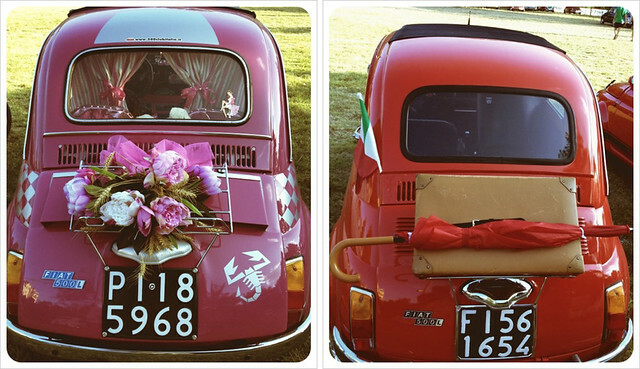 The cutest car in the world, at least that’s what I think. 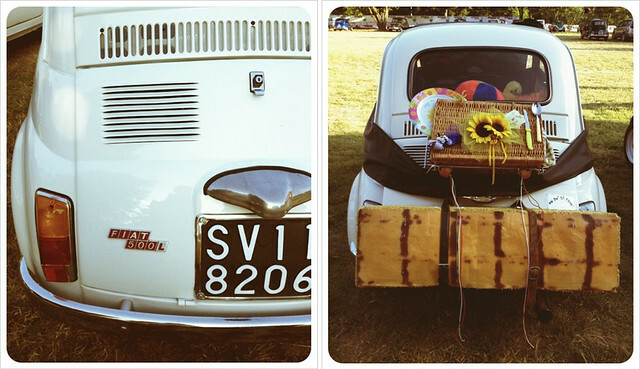 Last weekend we did it again, we attended the Fiat 500 meeting in the town next door (Garlanda, Italy). 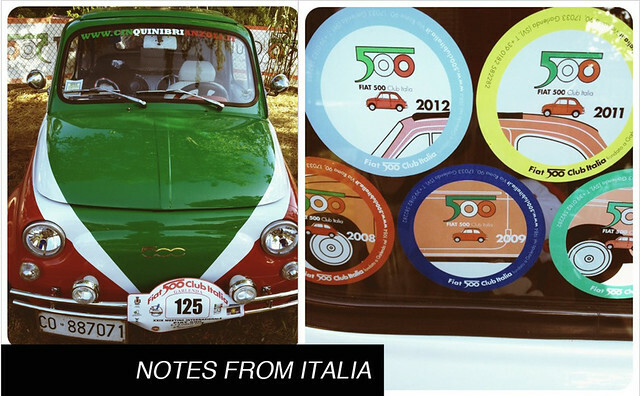 The annual meeting of cinquecento enthusiasts, collectors, tinkerers and experts. If you love these darling little cars as much as I do, then you will love the entries this year. 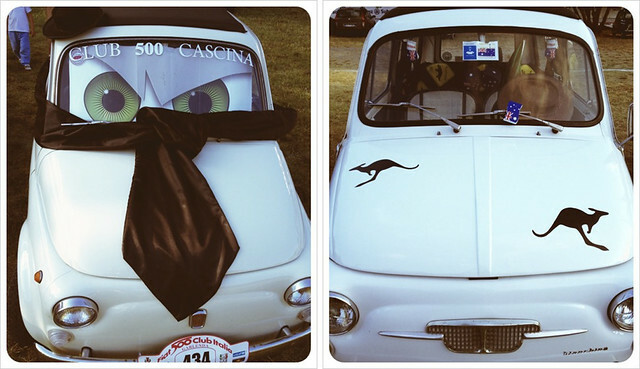 The owners were very creative and there were cars from England and Australia to boot. We had a blast at the opening ceremonies. I think my favorite one this year was a tie. 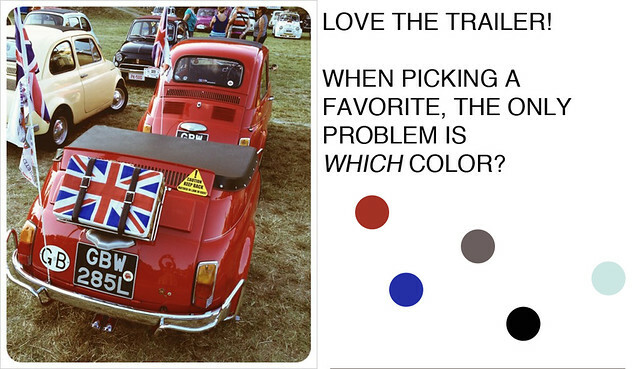 I loved the English 500 with the trailer, but the one from Roma is the one I would want to take home. 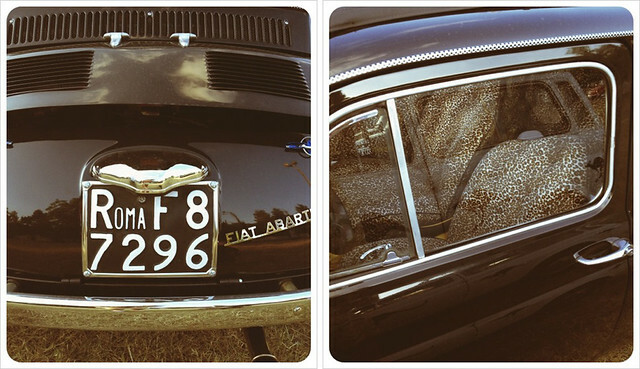 I love the racy leopard seat covers! This fall I am buying one for reals, I wanted one last year as well, but this year I am pulling the trigger. Now the only question is what color?? ?